Shake all ingredients and strain into a martini galss, rimmed with Cuervo black volcanic salt. 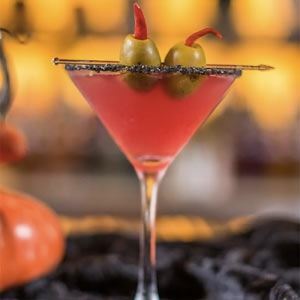 Insert two chilli stuffed filthy olives (chilli stem out) into the middle using a cocktail pick to create a devil horn look, when placing garnish on the edge of the glass. If you've got melted chocolate on your hands, you’re eating it too slowly.